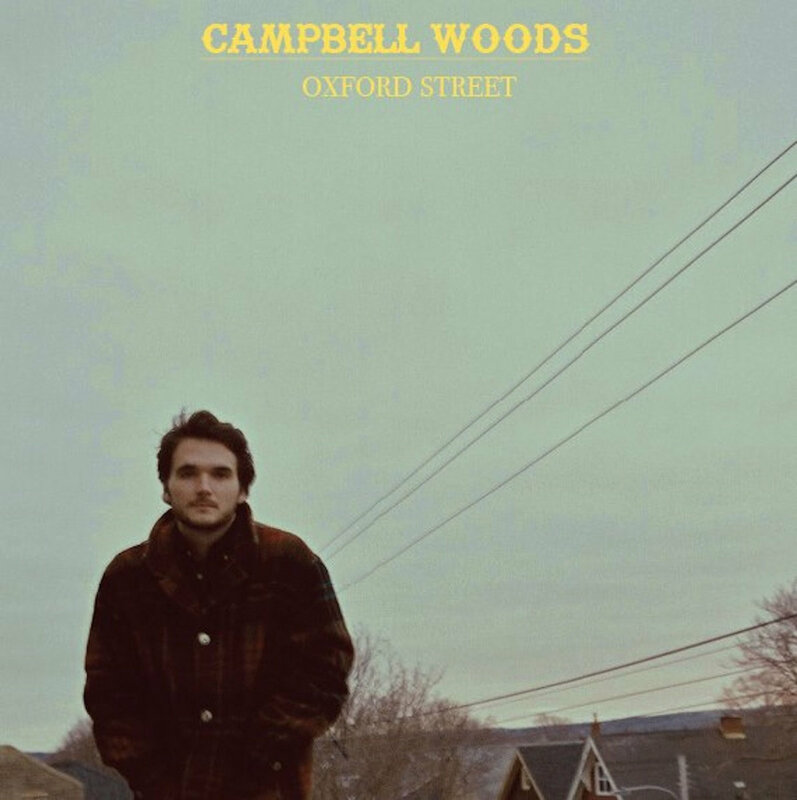 From Nova Scotia to Ottawa, and even Victoria, rover Campbell Woods has traveled across the country and taken tiny pieces of each place with him to build his debut album, Oxford Street. He calls out Fundy Shore, Lanark County and downtown Halifax as some of the places that have given Oxford Street inspiration, and those places can be felt in the plaintive, astute lyrics and weathered instrumentation that captures both the wildness and serenity of Woods’ journeys. Throughout it all, Woods picks up people and places and pockets their stories for later—moving from the cold, crashing waves of Eastern Canada to the quirky politics of the capital and a different kind of wilderness as he travels further west. There’s moving on, and moving back—and heartbreak adding up with each mile traveled. Western tale “Mad Trapper” introduces an album full of stories told in in an aching, sharp voice and joined to a muted guitar. Lamentations swing into embarrassing anecdotes as Woods pours out his own stories and a few others over the eight tracks. “You could do much worse/ And I could be much better,” he sings on the passably romantic (and dangerously honest) “Let’s Get Back Together.” Playful tones take the bite out of some of Woods more attuned observations, only to be followed by a mournful duet that pulls no punches when it comes to revealing the devastating loss being humorously masked only a song before. There’s a weariness in the notes towards the album’s close as “Your Loving Arms” becomes a penultimate confessional that feels dedicated to those late night patrons that stick around for the last song. It’s all deliriously upended one last time, but it’s the finger plucking and a sense of coastal isolation that lingers long after “Billy The Kid” jaunts off stage. Campbell Woods is going out on the road again – click here for full tour dates.